‘Foreign conspiracy’ to destabilise Sri Lanka is a perennial ploy in Rajapaksa’s political strategy to whip up nationalist sentiments. 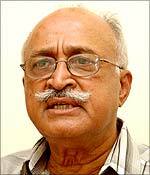 This time also the UNP has become the target of such allegations by UPFA leaders. Resettlement Minister Gunaratne Weerakoon alleged the outgoing US ambassador Michele Sison offered him a green card and a house in the US to induce him to defect from the government. 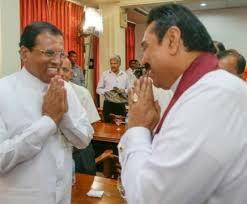 Another well worn Sri Lanka political strategy is to induce defection of leaders on the eve of elections. Both sides have adopted it. Rajapaksa has the money and muscle power and the instrument of government to do a better job of it. In spite of this, not only Sirisena but a few other ministers have quit their office to join the opposition ranks. One of them, Minister Navin Dissanayake, son of the late Gamini Dissanayake, who crossed over to the opposition said he was offered Rs 10 million to stay in the SLFP. 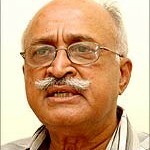 There is yet another important factor in Sri Lanka politics – astrology. President can probably relax as his astrologer seems to have predicted that he would be re-elected for the third time and a fourth time as well! We don’t know what Sirisena’s birth chart says; I suppose January 8 will decide his future regardless of his astral predictions. « State Capitalism In Crisis!